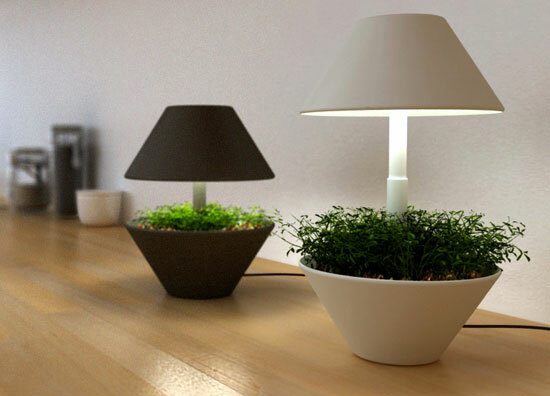 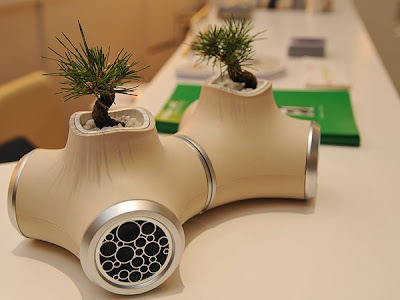 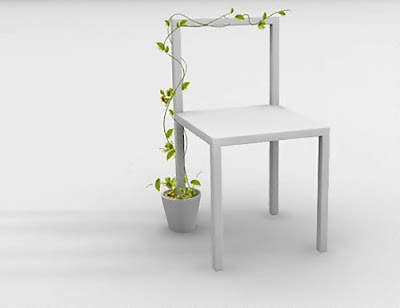 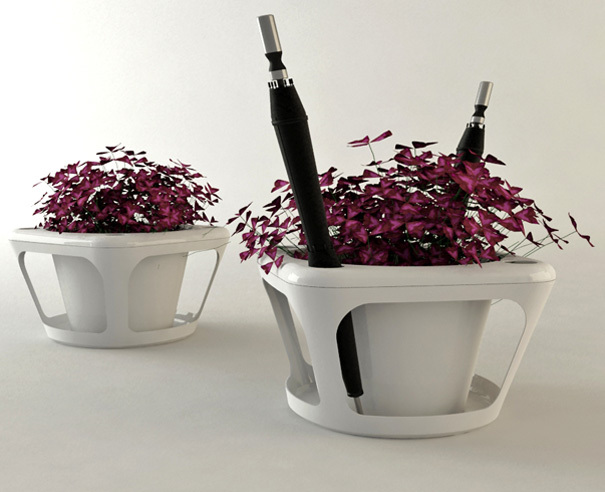 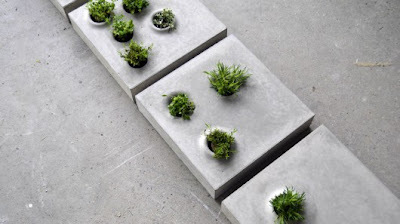 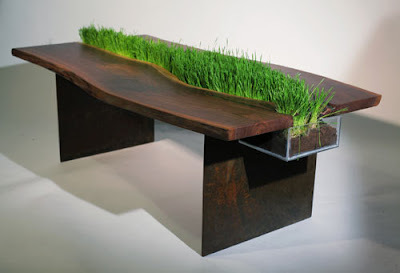 Collection of 'Cool Built-in Planters and Flowerpots' from all over the world. Up Top: This carafe holds 1L of water, comes with a cup, and a small planter up in the top that is perfect for plants, lemons, or snacks. 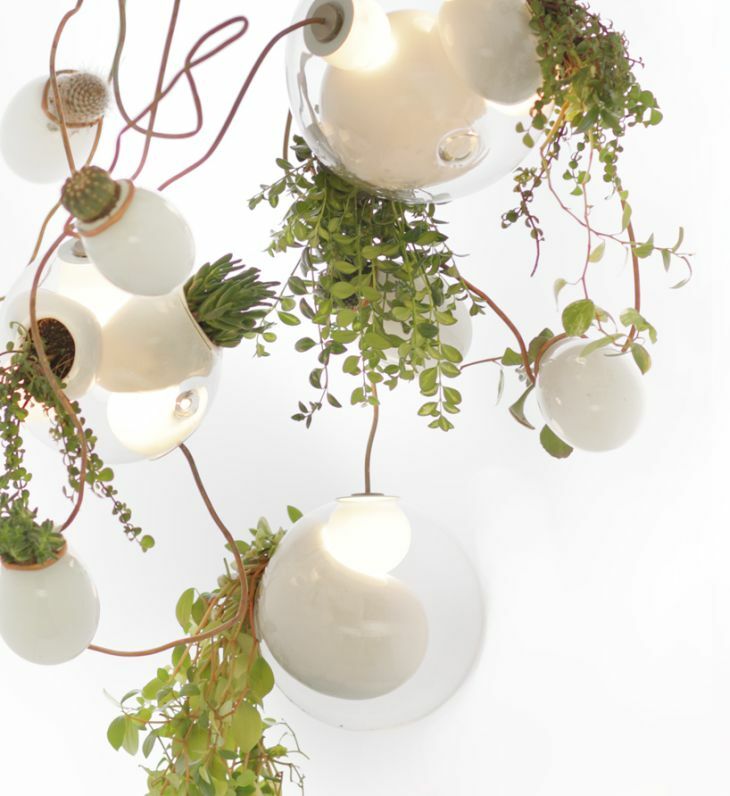 Flowerpot Chandelier: This 'Flora' chandelier is a beautiful combination of planter and lighting installation by Gumdesign for Tredici. 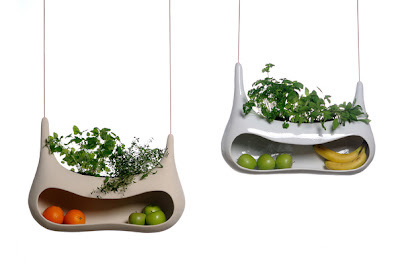 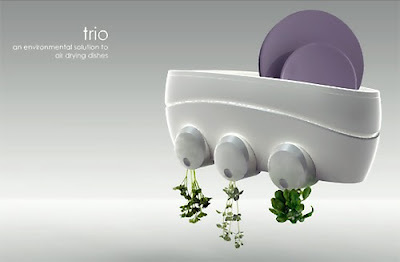 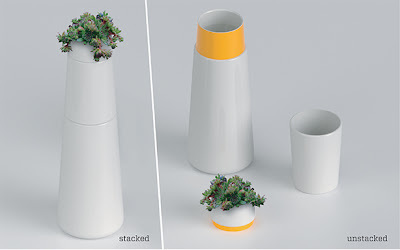 Trio Dish Drier: It has little containers at the base of these racks that houses herbs; the leftover water from the washed dishes trickles down to the plants to water them. Planter by M Salomonsen: It's made of clay and it absorbs water from cultivation; when water evaporates, the storage is cooled and can be used as a space for storing spices and fruits. Umbrella Holder Flowerpot: The excess water from the umbrella gets collected and is used by the plants. Office Partition: It acts as a divider between work-desks and has exclusive space to place the plants. 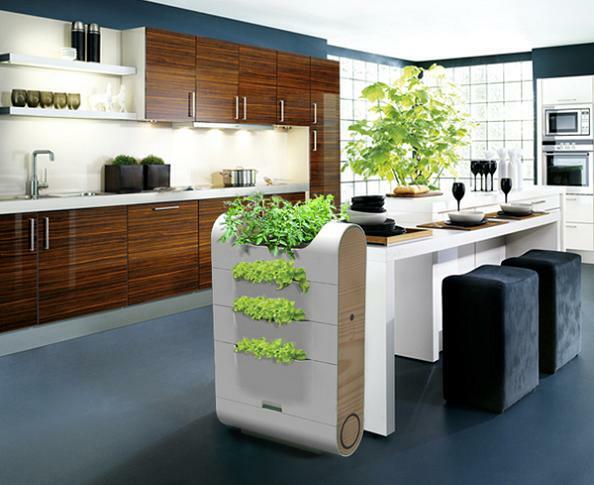 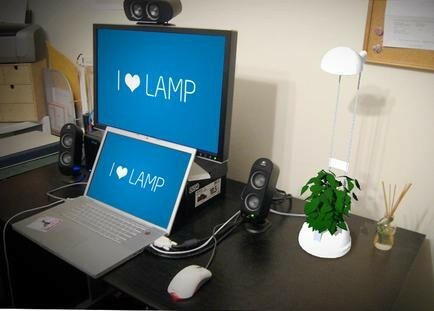 And an automatic watering system takes care of the watering. 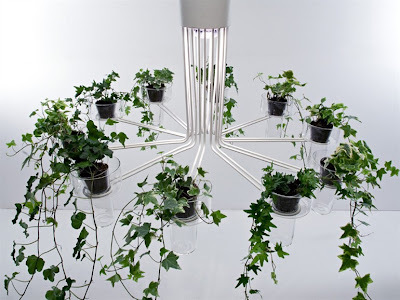 Ecotypicbed: It has reading lights above your head, speakers for music, flower box for vines to grow up the sides and light for the plants to grow, and more.